This one room self contained bed sit that has a queen bed and a fold out double bed is the perfect stop over location. Ideal for those travelling for Horses that need a paddock for the night. Meals can be provided on request, however all facilities for cooking are in the unit. Ideal for those wanting a break away from the city life, a very quite small horse farm conveniently located to both Cambridge and Hamilton. 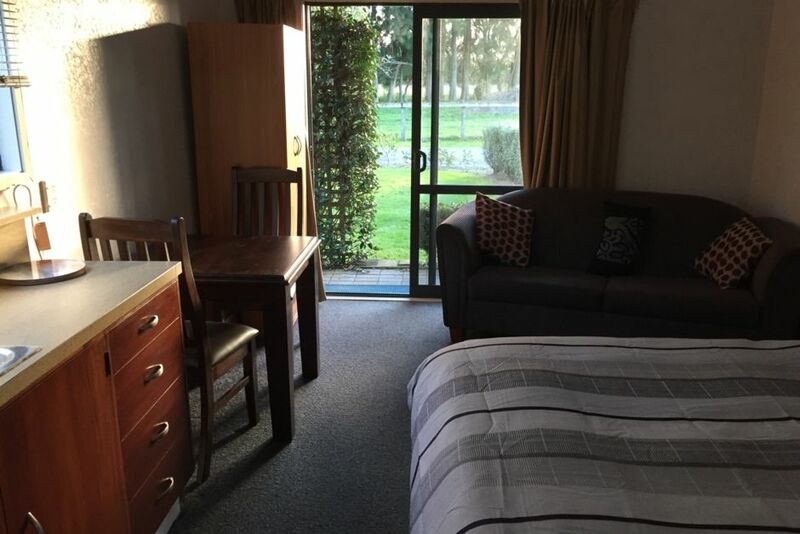 With so many sporting events within the Waikato regional, also home for Mystery Creek Field days, this is a perfect place to put your feet up at night. This place offers the best of all worlds, located on a small life style block with horse and cattle in the next paddock, yet so close to the city. This room is attached my garage which is close to main house, the same drive way is used and parking to either by stables or house. Most times someone will be around. Horses welcome, lots of truck parking. Nice hot shower with good pressure. Quiet and warm. Ideal spot between Cambridge and Hamilton. Lovely country atmosphere. Felt very much at home in our surroundings. Perfect for us. Dana and her Mother were very interesting to talk to and extremely helpful. Very convenient for Cambridge and appreciated having somewhere to run our dogs. Very clean and tidy, great shower and plenty of towels. Lovely, comfy bed. Need somewhere to hang clothes please. Glad you enjoyed your stay. Is a shame you didn’t walk behind unit or ask me as there is clothes line around the back of unit. Second time stayed at this location - nice, quiet and lovely country scene. Ideal, just what we wanted.